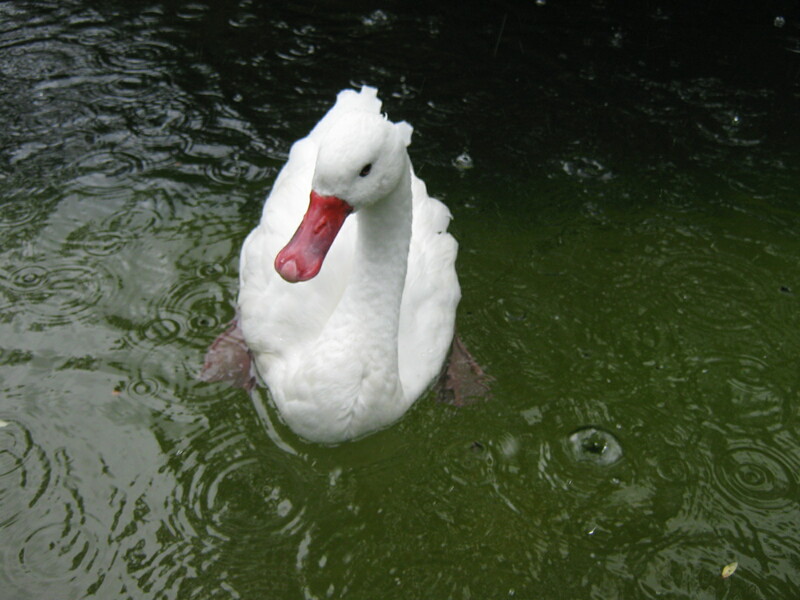 The rain is pouring down, and duck is swimming in the pond. No other living creature to be seen around. The sky is dark grey, the trees are dancing in the storm. Here we are, duck and me, just the two of us. Hey Duck, what’s up? You would like some food perhaps? I’m sorry duck, I don’t think I have anything. Checking my backpack. Wait, here I have some crackers. You might like them, duck. So I take them out and give some small pieces to duck. Duck eats. Duck wants more. For a while, I stand in the rain. Duck eats the crumbs, I eat the crackers. And so duck swam and eat, and I stood munching in the rain on crackers. How simple beauty can be (t)here, in the rain and cold.